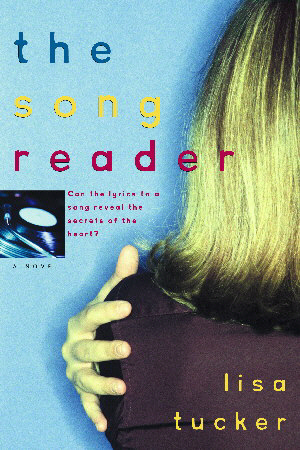 The questions that follow are intended to enhance your group’s reading and discussion of THE SONG READER by Lisa Tucker. 1. Mary Beth was keenly aware of people’s thoughts and feelings, yet she wasn’t always able to transfer this knowledge to deal with her own situations with her sister, father, Ben, and even herself. Leeann, a teen with a reputation for being lighthearted and carefree, seems better able to address feelings and memories on a personal level. Mary Beth’s secrets haunt her, her inability to deal with her own memories tortures her. How does this shape their lives? Leeann offered Mary Beth several opportunities to reveal the truth about the past. How would things have been different had Mary Beth been honest? Could she have avoided the breakdown? 2. Tommy, like Leeann and Mary Beth’s mother, is an orphan. Why is Mary Beth inclined to take in an abandoned child? What void does Tommy fill in Mary Beth’s life? Why does Leeann think Tommy will be able to heal and ground Mary Beth at the end of the book, when he was unable to do so when she first got sick? 3. Leeann’s quest to find her father is an important part of the book. Knowing what she does about how ill her father is, why does she call on him for help? Does Leeann ever really find her father? If so, at what point in the story does she find him? Describe what you feel for Leeann’s father. 4. Mary Beth is strong and has endured much. Why does the incident with Holly completely break her down? What really caused Mary Beth to shut down? Why do music, Tommy, and her father fail to bring her back? Do you feel differently about Mary Beth before, during and after her breakdown? Explain. 5. What qualities does Mary Beth share with her mother? What qualities does Mary Beth share with her father? What qualities does Leeann share with each of her parents? How do these qualities affect how the sisters relate to each other and how they see their circumstances? How does the sisters’ past manifest itself in the relationships they have with Juanita, Ben, Kyle, Mike, Holly and other secondary characters? 6. Early in the book, the author gives the reader some insight about the circumstances surrounding the death of Mary Beth and Leeann’s mother. After learning about how unhappy Mom truly was, do you accept the notion that her death was an accident? 7. The ’80s have been characterized as a time when people began to talk openly about family problems and examine how their past influenced their present. The author artfully takes us back to the decade through pop culture references-the records, the record players, letters and the popular songs. How would this novel have worked differently had it been set in the today’s culture of CDs, MP3s, e-mail, music videos and Oprah? 8. In several instances, walls play an important part in the story-when the sisters discover their dad’s lists written on walls, when Mary Beth recreates her surroundings in the apartment after Leeann’s accident and when Juanita reveals Mary Beth’s first painting project in the basement of the old family home. What message is the author writing on the walls? 9. Where do you see each of the characters in five years? Do they relocate? Does Mary Beth take up song reading again? Does Leeann try to song read? How is Tommy’s life influenced by his past? Does Dad leave again? Is Ben in the picture? How does Mary Beth and Leeann’s relationship evolve? Lisa Tucker grew up in small towns outside of Kansas City and St. Louis, Missouri, and has toured the Midwest with a jazz band and worked as a waitress, writing teacher, office cleaner, and math professor. She has a graduate degree in English from the University of Pennsylvania, and a graduate degree in math from Villanova University. Her fiction has appeared in Seventeen and Pages, and is forthcoming in the music-inspired anthology, Lit Riffs. She currently lives with her husband and son in northern New Mexico, where she is at work on another novel.